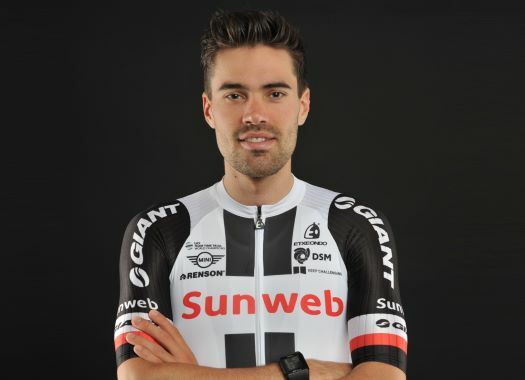 Tom Dumoulin (Sunweb) has suffered a broken wheel with five kilometres to go of the sixth stage at the Tour de France, a moment that made him drop from the GC's top ten. It seems like the Dutchman and Romain Bardet (AG2R La Mondiale) crashed wheels, causing damage in both bikes. "It was just bad luck," the rider commented. "I got a wheel from Simon as soon as possible and we tried to go as quickly as possible to the finish after that. I knew I wouldn’t make it back so it was about limiting the time loss. "There was a movement in the peloton and I couldn’t avoid it. I hit the wheel in front and needed to change the wheel and chase to the finish as hard as possible but it was very difficult. We knew that the first 5 days we were very lucky, but we also knew that bad luck could hit us too and it did today. It’s very unfortunate but it is how it is. I’m disappointed of course, I would have liked to be in a better position on GC but that’s how it is." Dumoulin got drafted by the team car and received a 20 seconds penalty at the end of the day.